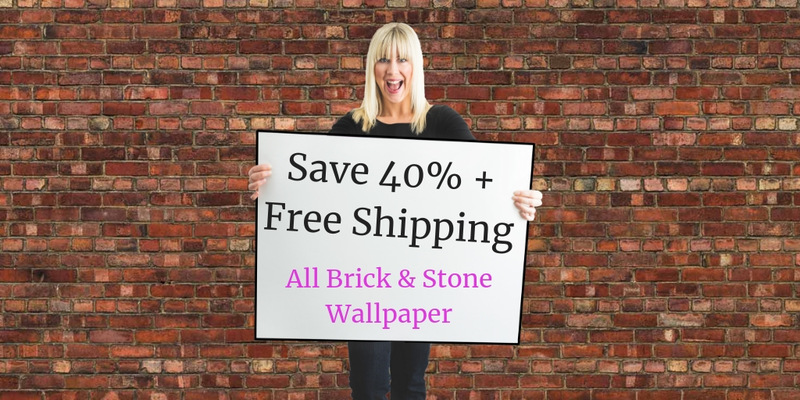 Save over 40% on all brick and stone wall murals for my Brick Wallpaper Sale! Plus get FREE SHIPPING within North America. Want a reminder of my Brick Wallpaper Sale? Did you miss the brick wallpaper sale? Join my newsletter community and I’ll send you a notification of any upcoming sales, including any brick wallpaper sale I have. Don’t worry…you can unsubscribe at any time! What wallpaper designs are on sale? The sale doesn’t include wallpaper samples, custom wallpaper, installation services or in-home hand-painted mural services. Sorry! I’ve worked with TV designer celebs like Colin & Justin, Brian Gluckstein, Mike Holmes, Mike Holmes Jr. and Sherry Holmes and my murals have been featured on Cityline, DIY Network and the Toronto Sun. My wallpaper murals are super easy to hang, are totally REMOVABLE and are eco-friendly (so they’re safer for you and your fam). My website is SSL Secured (that little padlock in the address bar) so your personal information is protected. You have your choice of payment options – by credit card or PayPal! And if you’re curious, here’s a little bit about me! I spend hours every month adding customer photos of my murals in action…in their homes…to help you decide if the design is right for you. Check out my blog or join my newsletter community for the latest inspo! Trying to put your order through but have a question? Gimme a shout!